The name of Galileo is inextricably linked with the advent, early in the seventeenth century, of a marked change in the balance between speculative philosophy, mathematics, and experimental evidence in the study of natural phenomena. The period covered by his scientific publications began with the announcement of the first telescopic astronomical discoveries in 1610 and closed with the first systematic attempt to extend the mathematical treatment of physics from statics to kinematics and the strength of materials in 1638. The same period witnessed Kepler’s mathematical transformation of planetary theory and Harvey’s experimental attack on physiological dogma. Historians are divided in their assessment of this widespread scientific revolution with respect to its elements of continuity and innovation, both as to method and as to content. Of central importance to its understanding are the life and works of Galileo, whose personal conflict with religious authority dramatized the extent and profundity of the changing approach to nature. 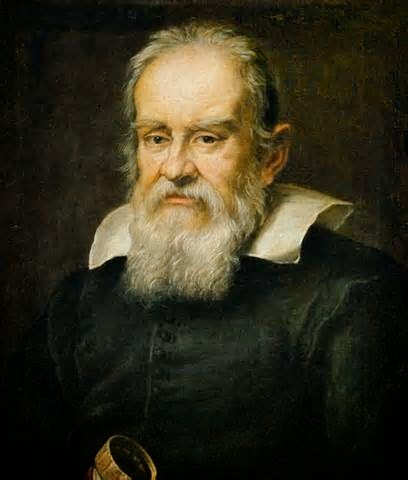 The Italian physicist, mathematician, astronomer and inventor Galileo Galilei lived from 1564 to 1642. Galileo was a tireless experimenter and made many discoveries. He is credited with several important inventions, including the geometric compass, thermometer and pendulum clock. Although he did not invent the telescope, as he is popularly thought to have, he did adopt it early and improve it. The year 2010 marked the 400th anniversary of Galileo’s discoveries with the telescope, and the event and its author were commemorated with conferences, lectures, exhibits and publications all over the world. The literature on Galileo already exceeds in quantity the literature on every other scientist. (His closest competitors are Einstein and Darwin; even Newton falls far behind.) Why should this be? There must be a dozen scientists whose contribution is of greater importance. Also, much of Galileo’s own work is defective, some of it in ways he was himself aware of. And yet this attention to Galileo is not misplaced and has every promise of continuing for as long as the history of science and science itself are pursued. Consider Galileo’s life and work. In 1608, the telescope was invented in the Netherlands. Over the next year, Galileo had heard about it and crafted his own improvements. With the improved telescope, he was able to observe the heavens more closely than ever before and identified three of Jupiter's moons. This, along with observing the phases of Venus, provided support for the Copernican heliocentric model of the universe over Ptolemy's geocentric model. In addition, he made many other significant observations. He was the first to observe sunspots, the rings of Saturn (though he didn't know what to make of him), and lunar mountains and craters.